With over 40 years experience leading the way in first class upholstery and furniture making, Barnes Upholstery has a history of stunning workmanship backed up by top quality materials. They can build bespoke sofas and chairs to suit your home precisely. Their philosophy is that their customers expect the best, so should get the best – that’s always been their belief and they ensure that they deliver on that promise every time. 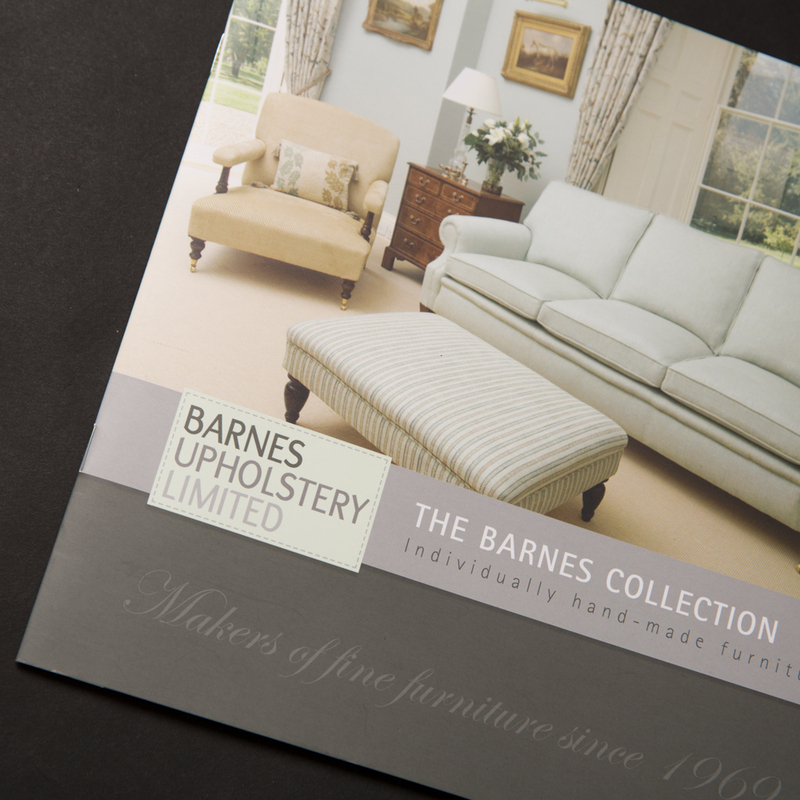 Barnes provide the best traditional and modern upholstery combined with the ability to tailor all of their handmade sofas to their customers’ individual specifications. 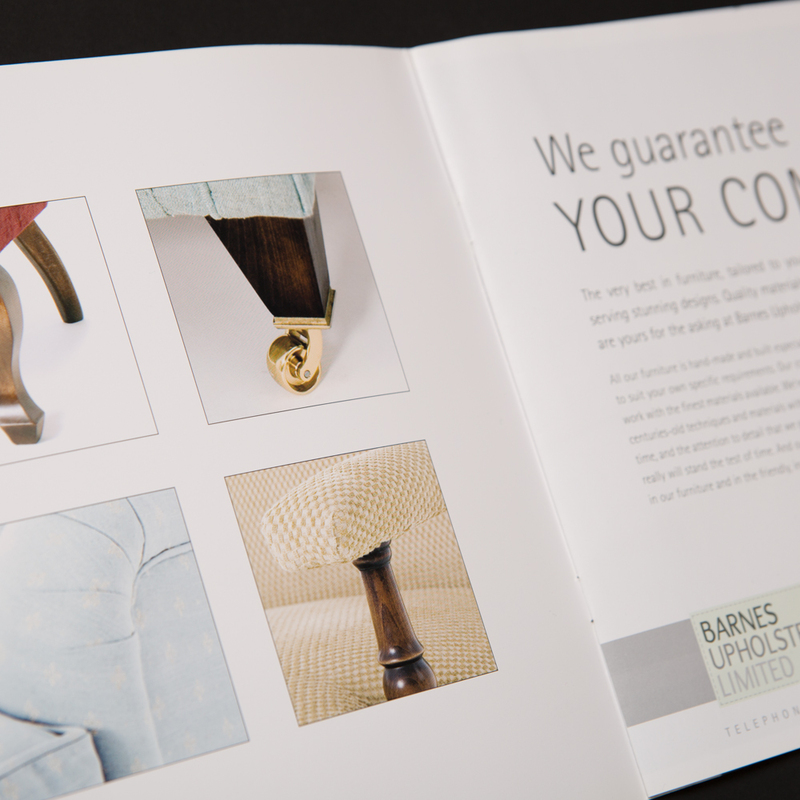 Barnes Upholstery approached RD3 to design and print a product catalogue for their range of bespoke furniture. Using supplied images, we had to Photoshop an extended range of products. The layout needed to be clean to accentuate the quality of their furnishings. 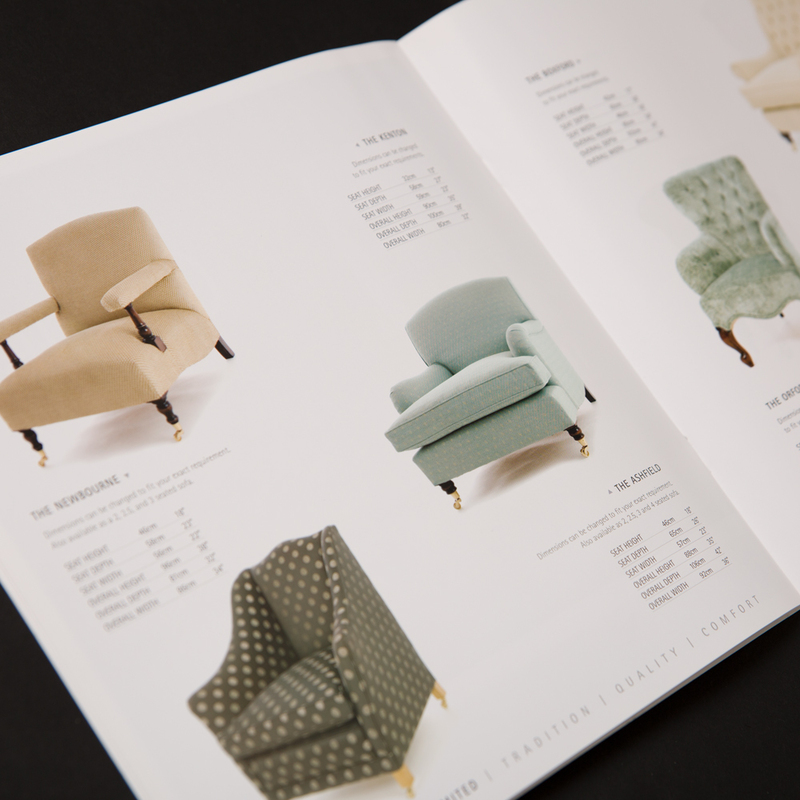 The finished catalogue was printed with a matt laminated front cover to add a high class touch and appearance.